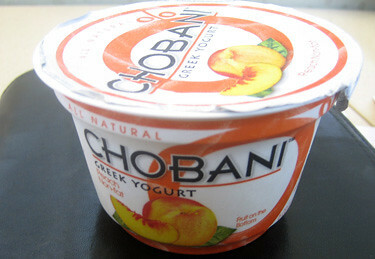 One lunchtime last week, my boss Caren came over to my desk, bearing a pot of Greek yogurt. "I've got one for you!" she said, triumphantly. "Take a look at this." Copyeditor General's ruling: There's nothing wrong with being a math-averse copywriter; I count myself in that number. But when you're dealing with percentages, it's useful to understand what "0% non fat" means. Of course, this could just be the world's most unhealthy yogurt. And congrats to Caren, partly on her upcoming nuptials, but most importantly on being Copyeditor General's Deputy of the Week!